INVESTORS! HANDYMAN SPECIAL! 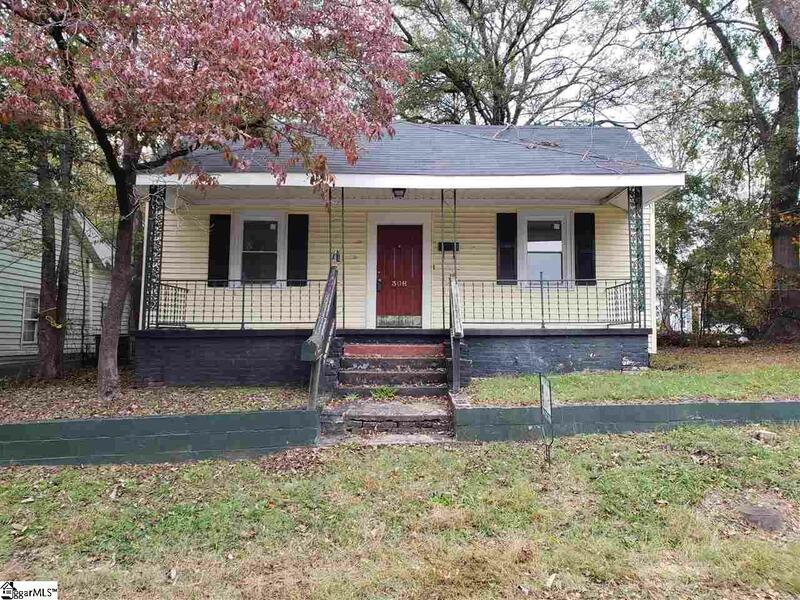 One of the few remaining bargains left in this area of Historic Greenville. Home has many possibilities but also has some issues, mainly the flooring system in parts of the house need to be addressed and care should be taken at the back door where water and termites have taken their toll. Home 'as is' will not qualify for loan. Positive points = new HVAC system, new windows throughout most of the house, roof is good, and location is soooo close to downtown and all the wonderful amenities afforded there. For the right buyer, this could be a plum. This house needs your imagination! Thank you for showing. Offered by Martha Rasche of Green Door Realty, Inc. Listing provided courtesy of Martha Rasche of Green Door Realty, Inc..